Santa Cruz (Spanish: Holy Cross) is the county seat and largest city of Santa Cruz County, California. As of 2013 the U.S. Census Bureau estimated Santa Cruz's population at 62,864. Situated on the northern edge of Monterey Bay, about 32 mi south of San Jose and 75 miles south of San Francisco, the city is part of the 12-county San Jose-San Francisco-Oakland Combined Statistical Area. 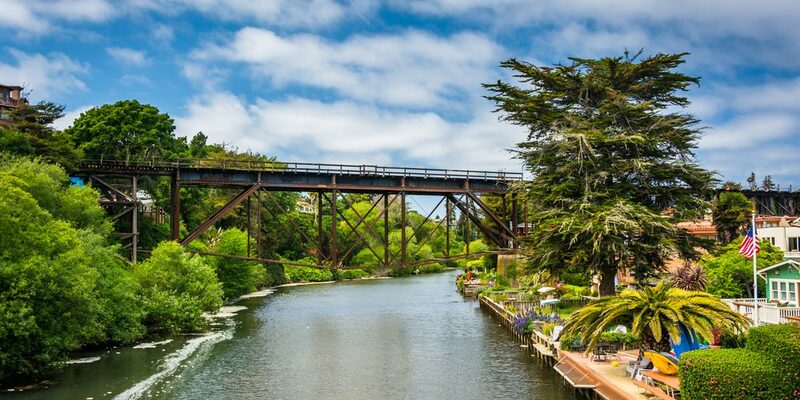 Santa Cruz is known for its moderate climate, the natural beauty of its coastline, redwood forests, alternative community lifestyles, and socially liberal leanings. It is also home to the University of California, Santa Cruz, a premier research institution and educational hub, as well as the Santa Cruz Beach Boardwalk, an oceanfront amusement park operating continuously since 1907. The present-day site of Santa Cruz was the location of Spanish settlement beginning in 1791, including Mission Santa Cruz and the pueblo of Branciforte. Following the Mexican–American War of 1846–48, California became the 31st state in 1850. The City of Santa Cruz was incorporated in 1866 and chartered in April 1876. Important early industries included lumber, gunpowder, lime and agriculture. Late in the 19th century, Santa Cruz established itself as a beach resort community.